What is a Cerec Machine? By further developing the process, it was possible to reduce the amount of follow-up work and time-intensive occlusion adjustment that was often necessary in the past. According to studies, the ten-year lifespan of CEREC inlays polished and milled with the aid of a computer is not only significantly longer than that of gold inlays, but also exceeds that of individually laboratory-manufactured ceramic inlays. Further clinical studies reveal that the success rate of CEREC restorations is 95.5 percent following a period of nine years and 84 percent after 18 years. The digital mapping technology of CEREC that charts the inside of the patient’s mouth completely accurately and down to the last detail ensures that there is no issue with inaccurate dental impressions that lead the patient to experience discomfort with bulky molds and unnecessary debris in their mouth. 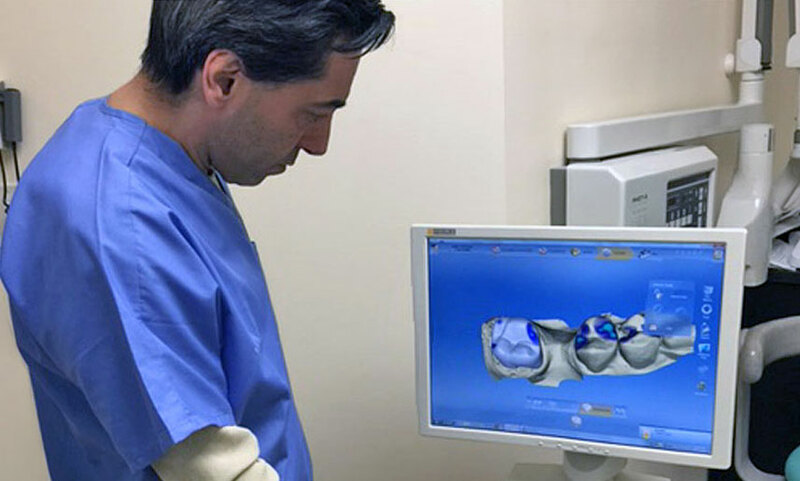 Combined with three-dimensional X-ray technology, it has also been possible to use CEREC for implants since 2009. The dentist can combine the CAD/CAM planning based on CEREC with 3D X-ray data in order to coordinate the prosthetic and surgical implant planning and achieve the intended treatment results. Based on this so-called integrated implantology, the dentist is able to order the drilling templates from the drilling template manufacturer SiCat or – if they have their own milling machine – produce them on their own at the office using CEREC Guide.